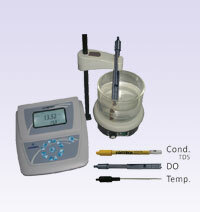 In some applications there may be a need to measure different parameters of a solution. The same can be fulfilled by using a single instrument with different electrodes for the respective parameter. 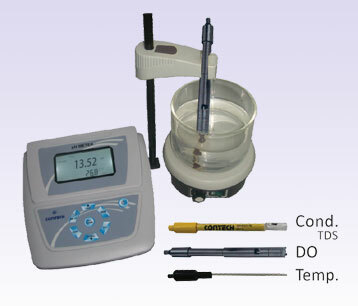 A single instrument can measure simultaneously different combinations such as pH / Conductivity, pH/ Ion concentration, pH /Dissolved oxygen, Conductivity/Dissolved oxygen along with temperature. These instruments find usage in environmental protection, water quality checking, biological agriculture, aqua culture, scientific research and studies, etc. 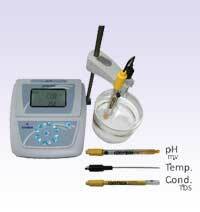 pH , mV, Conductivity, Resistivity, TDS, Salinity, Temperature modes. Multiple Printout types. Combinations selectable from Sr. 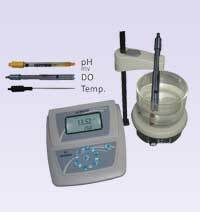 No., pH, mV, conductivity, TDS, Salinity, Date, time and temperature. 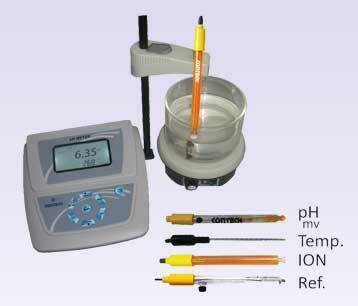 pH , mV, Ion concentration, Temperature modes. Options of different kinds of Ions. 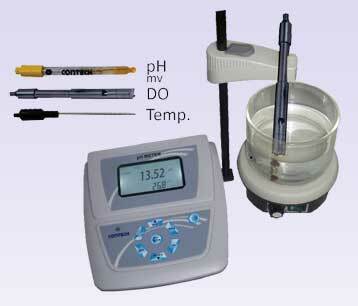 Switching option among 3 measurement units of Ion concentration, pX, mg/L, ppm. Multiple Printout types. Combinations selectable from Sr. 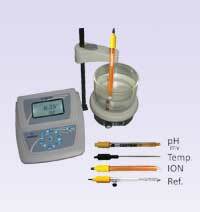 No., pH, mV, Ion concentration unit, date, time and temperature. 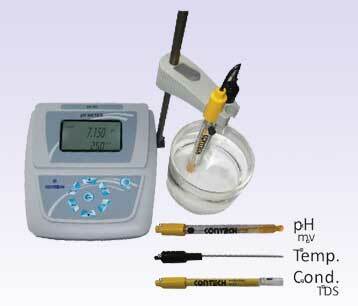 pH , mV, DO, Temperature modes.